This speech was given as part of Yale Law School’s Global Constitutionalism Seminar 2012, convening on the occasion of the Centennial of Carnegie Corporation, New York, and of the Peace Palace, The Hague, and celebrating Andrew Carnegie’s vision of international justice. 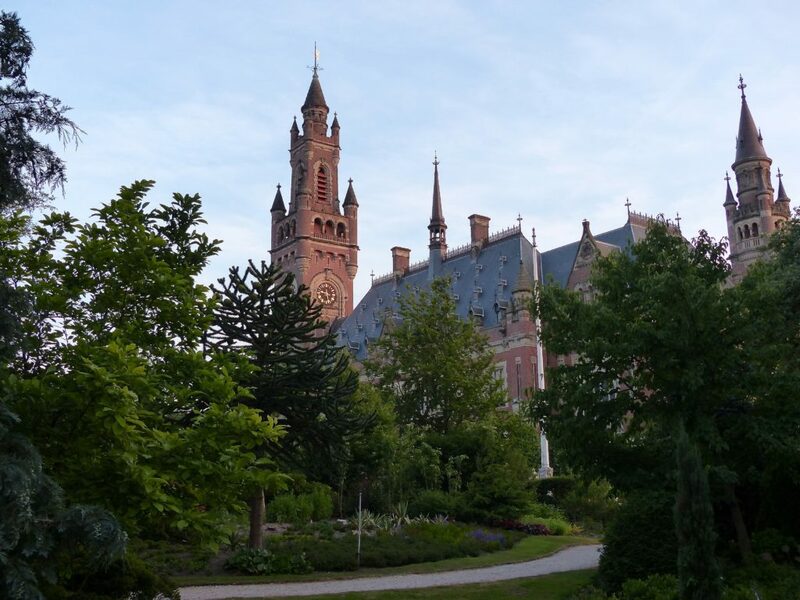 The four-day event was held at the Peace Palace in The Hague from 29 August–1 September 2012. There are few names more deserving of close association with the word “peace” than Andrew Carnegie. Carnegie alone had the vision and resources to invest in the first global institution devoted to the pursuit of peace. And those of you who know his life story know how hard he worked to lobby, cajole, nag, and flatter Kaisers, kings, prime ministers, and presidents to make his dream a reality. While “Europe enjoyed a rich fat afternoon,” as Barbara Tuchman put it so memorably in The Guns of August, Carnegie questioned the essence of imperial Great Power politics and offered an alternate future. He dampened the enthusiasms of armchair warriors. He debunked the glorification of war. His anti-imperialism encouraged deep thought about the purposes of political power, never forgetting the responsibilities that came with it. His aspirations for the positive possibilities for Great Power politics should not be forgotten. The theme I would like to emphasize in my brief remarks—in the spirit of Andrew Carnegie—is “normative shift.” Norms are what we understand to be expected and required behavior. Carnegie raised our expectations—and this, in the end, is his most enduring peace legacy. The norm of “just cause” is one of the most fluid norms of the last century. Carnegie assumed that peace was the highest aspiration of individuals and nations. Yet this was too simple an understanding of the moral dimension of international politics. There is a tension between peace and justice that cannot be ignored. This tension is the first premise of the “just war” idea. It was present 100 years ago as much as it is today. Today, our moral framework for “just cause” is dominated by the principle of the “responsibility to protect” [R2P]. Yet for all that R2P does on both the aspirational and operational levels, it suffers from the same limits of all international declarations and codes. It sets a high bar in terms of normative expectations. But it cannot ensure that all actors will see the same conflicts—the same empirical evidence—in the same way. Finally, since the end of the Cold War, the entire war paradigm—and the norms that come along with it—has come into question. The so-called “war on terror” continues in certain respects under an ambiguous status. Targets are selected, prisoners kept, and operations continue, even if war has not been declared, the theaters of conflict not precisely defined, and the end of hostilities not specified. There is an important ethical dimension to this idea. In his new book The Better Angels of Our Nature: Why Violence Has Declined, the moral psychologist Steven Pinker uses statistical evidence to show that over the centuries, human beings have become less inclined to kill each other and to engage in barbarous and cruel practices. As Pinker puts it, “Brutal customs, once commonplace have been abolished: cannibalism, human sacrifice, heretic burning, chattel slavery, punitive mutilation, sadistic executions.” This trend carries over into warfare. He goes on to document how battle deaths worldwide have declined drastically over the course of world history—especially since the end of the Cold War. Pinker does not suggest that human conflict is finished. Rather, he concludes: “… we still harbor demons like greed, dominance, revenge, and self-deception. But we also have faculties that inhibit them, like self-control, empathy, reason, and a sense of fairness.” It is these latter faculties that seem to be winning out. Pinker’s provocative argument suggests the changing nature of war may be accompanied by a normative shift. If this is so—if this is indeed the future of war—it might be possible to do better than we have in the past when it comes to upholding certain rules and norms. We may not perform to our ideal norms. We may often fall short. But perhaps Pinker is correct. Perhaps our performance is getting better because our values are shifting toward a more demanding set of expectations.